SNS REAAL repeats that in line with its strategic priorities it focuses on the run off of property finance loans and the strengthening of its capital position. In doing so, SNS REAAL is exploring various possibilities together with advisors. The sale of parts of its business activities is one of the options that is being explored. No decision has been made on any of the various possibilities. (Reuters) - Dutch bank and insurance group SNS Reaal is considering selling its pension operation Zwitserleven and its insurance unit Reaal, and has asked Goldman Sachs to study such scenarios, a Dutch paper reported on Friday. The euro zone debt crisis and problems in the Dutch property market have forced SNS Reaal to take more rigorous steps, Dutch daily Het Financieele Dagblad said, citing unnamed sources. SNS Reaal, which needed 750 million euros of Dutch state aid in 2008 and has struggled to turn around its loss-making property division, was not immediately available to comment. The Netherlands' fourth largest bank was investigating different options, in consultation with the Dutch state, and the sale of operations was among the possibilities, SNS Reaal was quoted as saying in the paper. The Dutch finance ministry has hired Morgan Stanley to advise on the options for the bank, in anticipation of the expectation that SNS Reaal will not be able to fully repay the state aid before the end of 2013, the paper said, citing sources. (Reuters) - Dutch financial services group SNS Reaal (SR.AS), struggling with a loss-making property arm and facing the repayment of state aid by the end of next year, said it was considering the sale of its insurance business, one of its main cash generators. 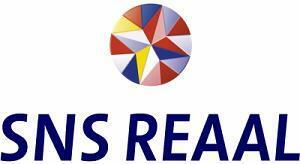 SNS Reaal has been hit by a weak property market and low interest rates. It is looking at options including the sale of its insurance unit Reaal and its pension operation Zwitserleven to strengthen its capital position, and will continue to wind down its property finance loans, a spokesman told Reuters. Its shares plunged as much as 23 percent to hit the lowest level in a month, bringing the decline year-to-date to 43 percent. Selling by retail and institutional investors was driven partly by fears that SNS Reaal will struggle to fetch a high price for its insurance business. "It's a fire sale, this isn't good," said one trader who asked not to be named, adding that Rabobank's downgrade of the stock from "buy" to "reduce" also hurt sentiment. The Netherlands' fourth-largest bank needed 750 million euros ($914 million) of Dutch state aid in 2008 and has struggled to revive its loss-making property division, which has recorded more than 1 billion euros in net losses since 2009. "We are in a constant dialogue with the Dutch central bank and the ministry of finance and have been since 2008," a spokesman told Reuters, adding that these included talks about the need to repay state aid as well as the current low interest rate environment which has hit its insurance unit. ING analyst Maarten Altena said SNS Reaal needed to raise at least 1.6 billion euros to repay the state and fund a capital shortfall, but that it would be very difficult to achieve that from selling its insurance and pension businesses. ...... the Dutch bank-insurer that is making finance simple and understandable. Each of our brands has its own speciality and expertise. Bundling the specific knowledge of these brands creates a basis for innovations and quality improvements throughout the company. Total assets (2011) euro 132,174m.